Senior Congress leader and former Madhya Pradesh Chief Minister Digvijay Singh can certainly dish it out. Diggy Raja, as he was nicknamed by the English-language Press in his heyday in the late 1990s and early 2000s, has been a thorn in the flesh of the BJP for the past two decades and its leaders have periodically declared him off his rocker (or words to the effect). He does, it must be conceded, have a penchant for making communally and/or politically controversial statements whether it be on the Batla House encounter of the RSS’ nationalist credentials. Now, it appears he can take it as well as he dishes it out. 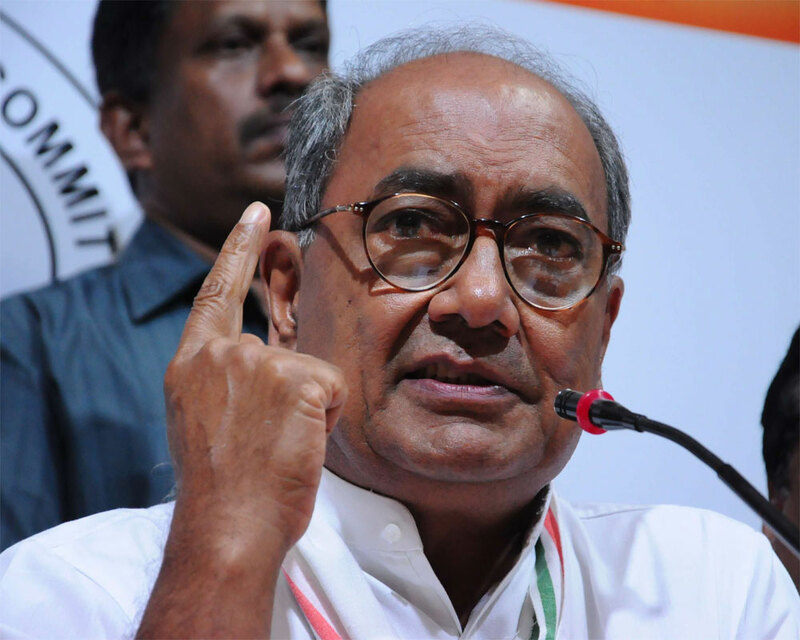 With party colleagues Kamal Nath and Jyotiraditya Scindia leading the Congress’ campaign for the Assembly poll in Madhya Pradesh, Diggy is widely considered to have been dumped by his one-time protégé Rahul Gandhi, at least for now. At a meeting of party workers recently, he was asked why he had not been more active in the campaign, addressing rallies and speaking at meetings. To which the Congress leader replied tongue firmly in cheek – “every time I speak the Congress apparently loses votes, that’s why.” A dig at those, if ever there was one, who Singh believes have fallen for the ‘soft Hindutva’ line in the Congress. Page generated in 0.0187 seconds.